British Mystery Duo Sweepstakes is open for the legal residents of the United States and the District of Columbia and for those who are at least 18 years of age or older at the time of Sweepstakes entry. The British Mystery Duo Sweepstakes started from 14th June, 2018 at 09:00 AM Eastern Time and ends on 20th June, 2018 at 11:59 PM Eastern Time (the sweepstakes period). The fifty winners of the Sweepstakes will be selected on or about 5th July, 2018 and the Prize for the winners is a box of Books. Eligibility: Open only for those who are the legal residents of the United States and the District of Columbia and for those who are at least 18 years of age or older at the time of Sweepstakes entry. 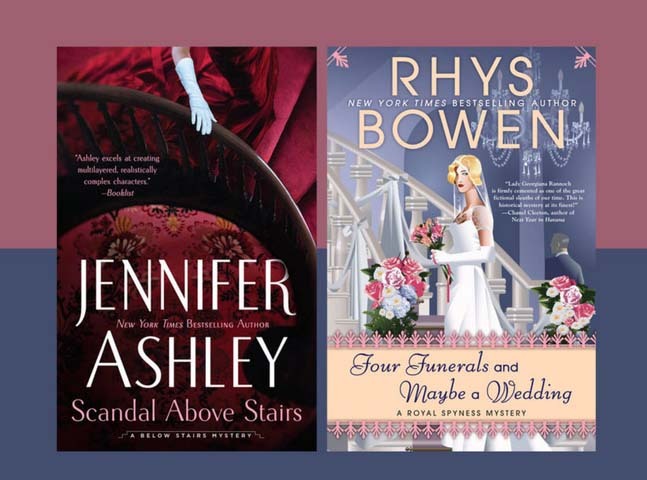 Prize (s): Four Funerals and Maybe a Wedding by Rhys Bowen, ISBN 9780425283523 and Scandal Above Stairs by Jennifer Ashley, ISBN 9780399585531.